You are at:Home»Arts & Entertainment»Cinema & TV»October 18, 1979: When Did the Public Get Satellite Television? October 18, 1979: When Did the Public Get Satellite Television? 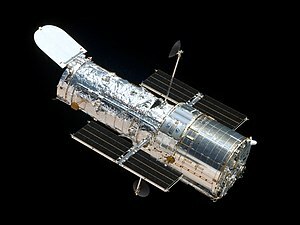 On October 18, 1979, the FCC (Federal Communications Commission) of the United States first began allowing private citizens to receive satellite television signals in their own homes, making television available to people living outside of the range of broadcast television and giving the public an alternative to cable television. Ever since, fierce competition between cable and satellite television providers has raged over television customers, and those customers likewise have debated the relative merits of each type of television service. For those people that lived outside of the areas serviced by cable television providers or those people at odds with the local cable provider, satellite television presented an alternative that was sometimes cheaper than cable and at times offered more stations/channels. Customers need a satellite dish (parabolic antenna) of less than 1 meter in diameter outside the house or apartment connected by a cable to a satellite box (low-noise block downconverter), a device similar to a cable box. 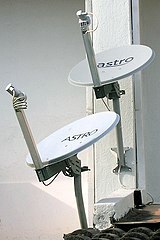 Original satellite television signals were broadcast in analog on what is now obsolete bands, but now satellite television is fully digital and can also be used to provide telephone and computer service. Those original satellite television systems also needed a much larger antenna (dish), as much as 2 or 3 meters across. Only 1 of the old fashioned analog television satellites remain, a unit from Brazil, while only 1 US cable/satellite channel is broadcast in analog signals (C-SPAN). 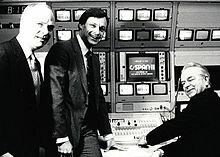 Sen. Robert Byrd (right), C-SPAN’s founder Brian Lamb (left) and Paul FitzPatrick flip the switch for C-SPAN2 on June 2, 1986. FitzPatrick was C-SPAN president at the time. Some satellite television channels are free to the public, un-encrypted and requiring no paid contract. Most of the other channels, especially the premium ones, require special satellite boxes to decrypt the signals and provide the paid for services through the provider subscription terms. Satellite television was first proposed around 1963 and was developed at first as a method of getting signals to cable provider stations which would then deliver the signals to customers via cable. By 1976 the first home systems were in operation, but customers required a license from the FCC. Meanwhile, the Soviets were producing satellite television service at about the same time as American efforts. In 1979, upscale catalog sales giant Neiman-Marcus offered a home satellite system for “only” $36,000! The 20 foot diameter antenna may have turned off some potential customers as much as the price kept people away, even though the price was cut in half soon after the initial offering. Stations selection was also limited at first, a factor in the supremacy of cable television at the time. By 1984 the price and quality of service improved so much that a half-million units were sold that year at a comparatively affordable price of $2000. Technology to scramble cable and satellite television signals had to keep up with wily consumers that were able to find ways to unscramble encrypted signals without paying for it. Advances in satellites, programming, and ground systems all were made at a frantic pace ever since the introduction of home satellite television systems. In spite of the advances in technology, satellite television still had occasional problems with the signals reaching consumers as planned. The Satellite Home Viewer Improvement Act (SHVIA) was signed into law in the United States in 1999 as part of an effort by the US Government to allow for enhanced television viewing by satellite customers. Since 1991 satellites servicing Australia and East Asia have also gone on line. Satellite television systems are subject to the same sort of problems encountered by cable television customers, such as power outages or physical problems that develop at any stage of the transmission process. (Ground stations are needed to direct signals to satellites, which in turn re-transmit the signals back to Earth for consumers.) Various atmospheric conditions as well as activity of the Sun can degrade satellite transmissions to the Earth and adversely affect the quality of television reception by satellite television customers. Severe weather may also damage home satellite reception antennas. A problem related to the position of the Sun actually occurs everyday! Around noon, the Sun lines up with the satellite and the receiving antenna, messing up the reception. Additionally, a 2 week period each year during the Spring (Vernal) and Fall (Autumnal) Equinoxes the Sun produces electromagnetic radiation that interferes with satellite television signals because of the Sun’s emissions being on a similar frequency to the satellite transmissions. Cable providers make serious hoopla out of this ongoing problem with satellite TV. Questions for Students (and others): Have you ever had satellite television service? Were you satisfied with that service? Do you prefer cable, satellite, or IPTV service? Is the internet entertaining enough that you do not need to pay for television? What problems have you had with satellite television? Castleman, Harry and Walter Podrazik. Watching TV: Eight Decades of American Television, Third Edition. Syracuse University Press, 2016. Kawa, Katie. Television: The Small Box That Changed the World (World History). Lucent Books, 2018.